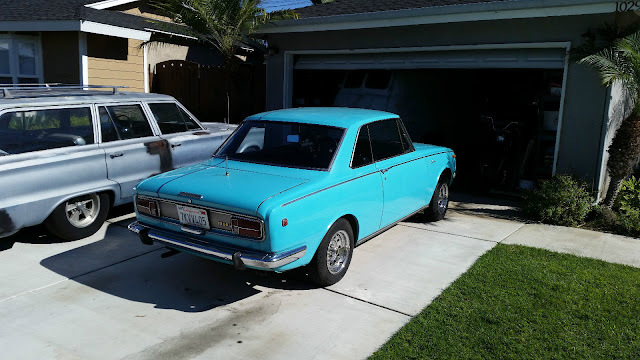 A few weeks ago I wrote a story about a Corona 2-door hardtop and mentioned that you don't see many of the 2-door versions for sale (for whatever reason), naturally this means the DT inbox would be flooded with the exact car that I claimed was rarely seen. 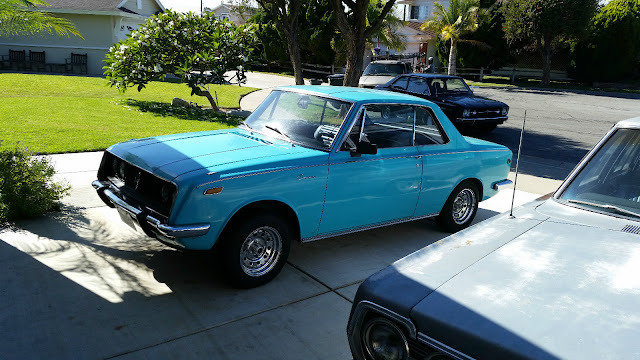 Find this 1969 Toyota Corona here on eBay bidding for $3,450 with 3 days to go, located in Huntington Beach, CA. Tip from Rod S.
Do not attempt to adjust your television set...you are NOT seeing double, this is a different car from the previous teal colored Corona. I think. It is wearing entirely different wheels, is not wearing CA black plates, and has an aftermarket steering wheel...but it does have the same Pininfarina inspired design and vintage Japanese style. 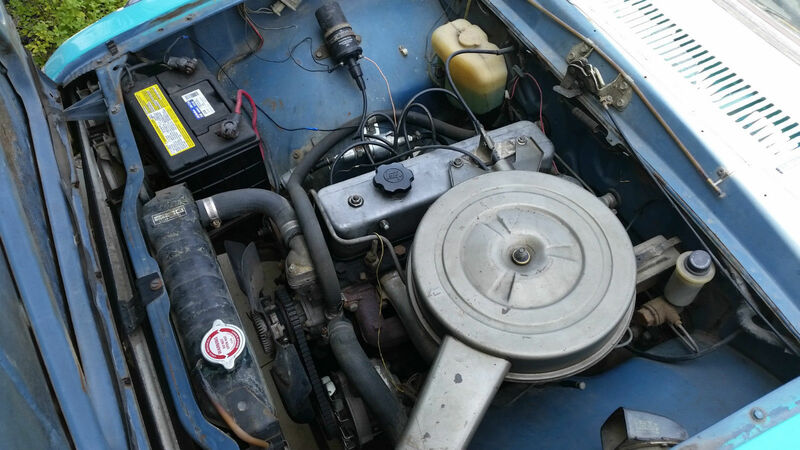 Its got an engine...errr...probably a 1.9 liter 3R inline-4, but it would be a simple weekend project to swap in a Mazda Rotary or a 2JZ or something with more gazzz in the gazzinga. 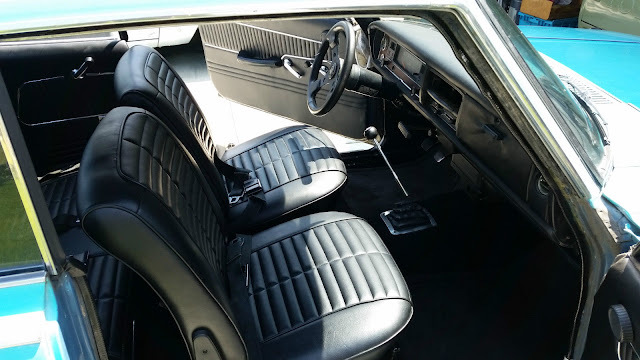 The interior presents decently, but the seller does admit to some bubbling in the "second" paint job, which shouldn't be a complete red flag, but just a warning. Rust doesn't sleep and it is always 10x larger than what you can see with your eyes...bring a big screwdriver to the test drive and check the floorboards and wheel arches carefully. Sure enough, I found a Corona on Atlanta Craigslist while searching for Thursday Twister. And submitted it to the tips line, of course.